Lost your password? The safe you keep in your home won’t open without one, what are you supposed to do if you forgot your password? Give up? No! there are ways for you to get your safe to open even if you don’t have the password. 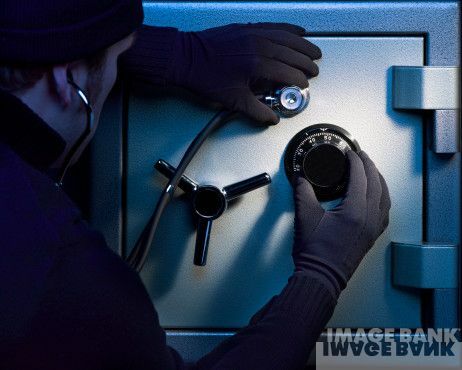 Firstly, you should go to the company that you bought the safe from and ask them if they have an extra key – that is if you can’t find yours – there should be spare keys with the companies but you will have to give them some ID and papers to prove that you own the safe. Explain to them your situation and there will be no problem. What if your safe doesn’t really come with a key? Or if you lost all the papers that prove that you are the rightful owner of the locked safe? There is still no need to worry. You can break into your own safe after a few simple steps. If criminals can get it done then so can you. First of all you will have to find out the exact type of the safe that you own, every bank or safe is different and each have different ways of breaking into them. While attempting to open your safe you will find out how strong and resistant it is to burglars. The better and higher quality it is the more difficult it becomes to open but that’s a good thing, keep in mind that you had it in the first place so that people could not open it in any way possible. Another way of breaking into your bank would be to get it’s blue prints and whatever you do, do not apply force to it. You will only be making things worse. Safes were designed in the first place to provide security and offer protection against any violence towards it so hitting it or trying to break it won’t work, especially if you have a good brand. There are, however, some weak points in your safe, if you find those you can then apply force to your bank. The most popular tool would be the drill. You must be warned though, it is going to take a lot of physical power to get done. All this can be avoided however, if you know how to pick a lock. It is a much simpler and easier way and you will be doing no harm or damage to the safe. I Can’t Get My Wall Safe To Open, Can I Break Into It?